Note: This article was originally published in September 2015, and has significantly been expanded to include more information on instant inductions. If you’ve never tried an instant induction before, you might be surprised to discover how easy they are to perform. Why are they so easy? Well, part of the answer lies in their name. They’re instant inductions, which means you can do them very quickly. That’s important, especially if you’re doing street hypnosis as you won’t have the luxury of being able to spend 10-20 minutes getting people relaxed enough to go into trance. So whatever you do, it’s gotta be done in a hurry. They’ve got the wow factor. Being able to put someone into a trance in a matter of seconds is impressive. If that doesn’t get their attention (and the attention of those around them) – then nothing will. Instant inductions are fantastic at bypassing the critical factor. Given their speed, your subjects won’t have time to be too critical of what’s going on. And if you don’t give them the chance to analyze and dissect what’s happening, they won’t be able to. They help get rid of people’s resistance. This is partly to do with the point above about bypassing the critical factor. … but there’s also a little bit more to it than that. You see, the job of the conscious mind to keep you safe. It wants to protect you from outside forces that don’t gel with what’s already going on. And that means maintaining the status quo – because it’s known and it’s safe. As a street hypnotist, then, you’re already at a disadvantage. The conscious mind doesn’t want to entertain anything new. The people you’re approaching don’t necessarily want to stop and chat. They’ve got shopping to do, business to attend to, appointments to keep etc etc. So if you actually manage to get someone to stop and agree to being your hypnosis subject – you need to work fast. And the best way to secure their attention and put them into a rather impressive trance is by using instant inductions. What’s more, they give you a platform to wow people with hypnotic phenomena on the spot, for example, by “sticking” a subject’s fingers together or doing an arm levitation. So, What Happens If My Instant Inductions Don’t Work? Sometimes, despite your best efforts, things just don’t work out. Too much resistance – one of the reasons why instant inductions are so useful is that they work on just about everyone. 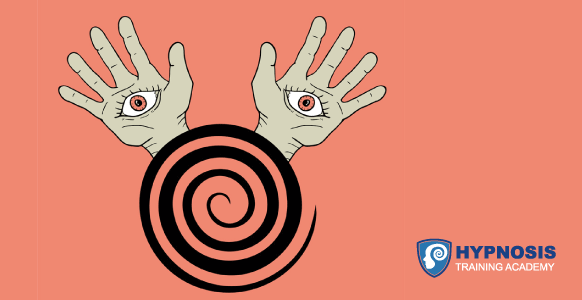 Even people perceived as being “difficult” to hypnotize. But it’s not impossible that somebody might still resist all your efforts, for whatever reason. If they do, just thank them and move on. 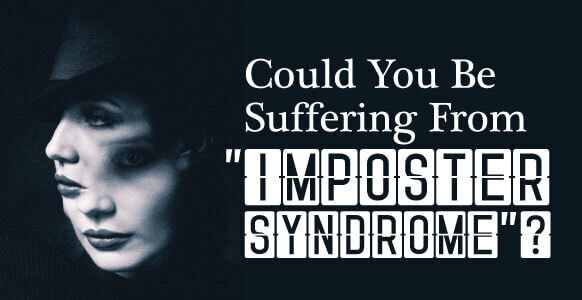 Lack of confidence – to do street hypnosis, you have to be confident. Not cocky, not an egomaniac, not arrogant, but just sure of yourself and your abilities. You want to project the sense that you’re an authority and that you know what you’re doing. If you doubt yourself and your hypnotic abilities, then that doubt will be projected onto the people that you meet. Remember, thoughts become things, so make sure yours are as positive as possible and full of rock solid belief that hypnosis can do amazing things. Being too pushy – yes, you need to be confident. You want people to feel like you know what you’re doing. That gives them confidence and assures them that they can trust you. But at the same time, you don’t want to shove hypnosis down their throat. Instead, you need to look for signs of compliance (see Step 3 in the 10-Step Process below). If you can get the people you meet to agree to small commands or simple tasks, then there’s a good chance they’ll also agree to bigger stuff too. Target the people who show interest and compliance and you’ll be setting yourself up for success. Also remember to use H+ and to “go first”. H+ means being positive and full of good intentions. 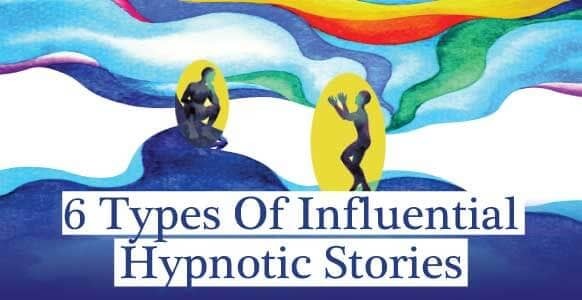 Basically, you want to project your intention that a successful hypnosis session is about to take place. 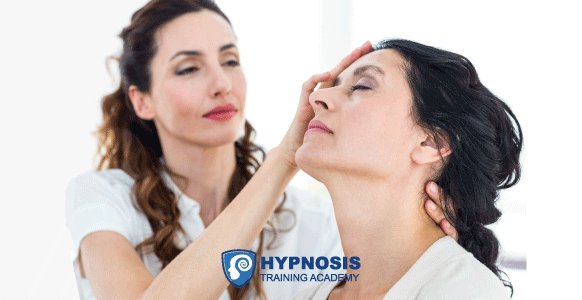 Instant inductions eliminate the need to spend 10-20 minutes trying to relax someone into hypnosis. They make it possible for you to get right down to business. And there’s another bonus with instant inductions: you can use them anywhere. They work just as well in hypnotherapy settings as they do in street hypnosis situations. Time is money. 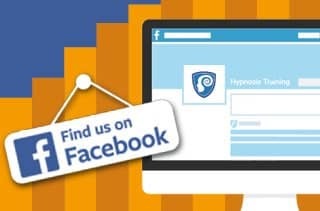 Hypnosis attracts a lot of people because the results can be much faster than psychotherapy. But this also means that people don’t want to spend years coming to see you… or spending thousands upon thousands to fix an issue either. So instant inductions can help you quickly get down to business so change work can then take place. Because they’re so quick, instant inductions keep people from getting too nervous or fidgety, or trying to analyze what’s going on. They find themselves in a trance before they know what’s hit them, which eliminates the potential for resistance completely. 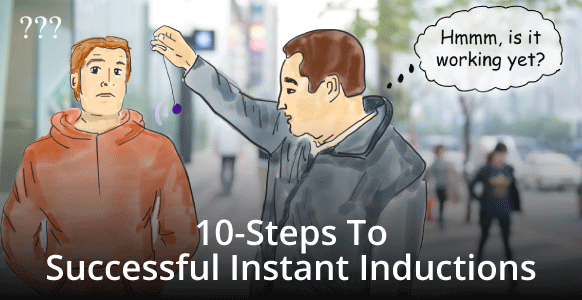 Of course, you don’t have to be a street hypnotist to take advantage of the simplicity of an instant induction, because instant inductions can be used for a variety of purposes and on a variety of people. You can use instant inductions as part of your everyday practice or you can use them at parties just for fun and entertainment. But if you’re planning on taking your talents out to the street, there are a few things you need to keep in mind. The first thing to keep in mind when doing street hypnosis and instant inductions is to always be respectful. You’re dealing with people who deserve to be treated with consideration, kindness and courtesy. So never push them to do something they don’t want to do. Know that as the hypnotist, you’re in charge of the interaction. This means you’re in charge of someone’s health and well-being for the length of the interaction, so always be aware of that. Bring a great attitude with you. When you approach people with a “take charge” attitude, they will be much more likely to take you seriously. If you find you’re overly nervous, it’s okay to take some time out or politely excuse yourself for a moment, until you feel composed enough to carry on. Be the best YOU you can be. Approach your induction with all the energy and fascination you can muster. 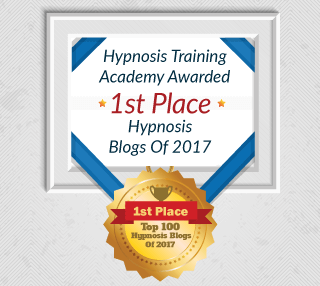 Take note of this tips – because when you learn the techniques of advanced street hypnosis, you can hypnotize anyone, even complete strangers, in less than a minute! Now that may sound extraordinary, but the techniques really are that simple. Even if you’re a complete beginner, you can learn how to successfully perform instant inductions just by following the step-by-step process outlined below. Written out like this, it might look like there’s a lot to remember. But once you’ve done it a few times, you’ll discover that it’s actually a lot quicker to perform. When it comes to street hypnosis – or any form of hypnosis for that matter – attitude is everything. The key to success is to imagine yourself a little bit different – a little bit more charismatic, a little bit more relaxed and a little more outgoing. Basically it’s you at your very best. The more you practice, the better you’ll be. You certainly don’t have to be the class clown or the super big personality, you just have to be yourself, dialed up a bit. 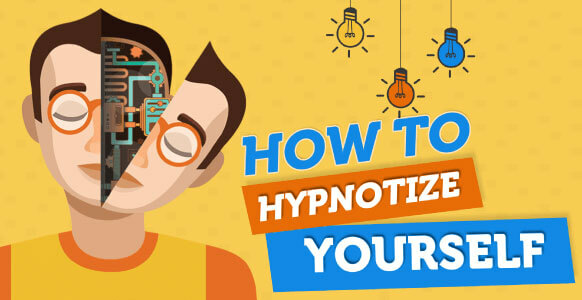 You can work on these techniques as part of your everyday hypnosis whenever you have a willing subject. Or you can simply try things out using a mirror. The more practice you put in, the easier you’ll find it to approach people and initiate a conversation. Give away a free gift – people will do almost anything if there’s something in it for them. If you can swing it, offer people a freebie in exchange for a couple of minutes of their time. You don’t have to go out and buy boatloads of pens, however. Just offer them a free 5-minute session and see if they bite. Ask for help – people will be willing to help you if they feel you’re being sincere. Especially if you tell them that there’s no catch, you’re not selling anything and you don’t want anything in return – just their participation. Do a demo on a friend – get a friend or relative to help you perform a demonstration in a spot where members of the public gather or pass by. When people see what’s going on, they’re bound to be curious. Then when they stop to see what you’re up to, you can ask for “real” volunteers. The main thing is that you want people to participate. 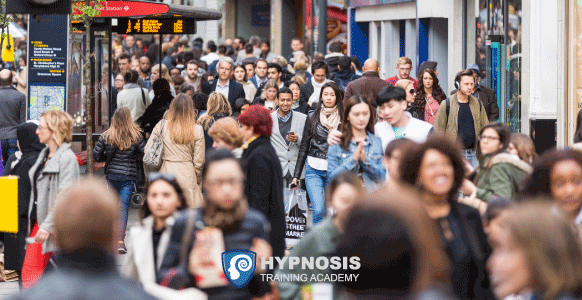 You can’t perform street hypnosis on lampposts, buildings or your phone… you need people! Here are some final tips on how to approach them sensibly and efficiently. How To Approach People And Entice Them To Experience Some Street Hypnosis… Without Scaring Them Away! Be casual, polite and relaxed. Approach people as if you’re asking for directions. If you feel nervous, start by asking people for the time, just to get a better idea of what it’s like to approach strangers. Be aware of personal space. Don’t stand too close to people you don’t know as it could make them feel uncomfortable or even defensive, meaning their critical factor will already be on high alert. If they’re sitting down, approach them from the side rather than walking directly up to them. Keep your arms open as this has a more welcoming appearance. It also makes you seem more vulnerable and less threatening. Once you get talking, simply be honest. 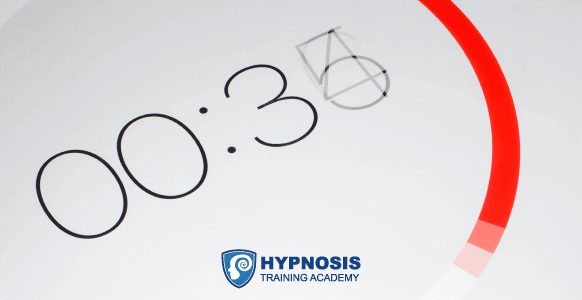 Tell them you’re a hypnotist and you want to show them how you can hypnotize them in less than a minute. The key to success (with anything) is perseverance. Sooner or later you’ll find a willing volunteer. And the more volunteers you work with, the more confident you’ll get, and the better you’ll become at performing instant inductions. 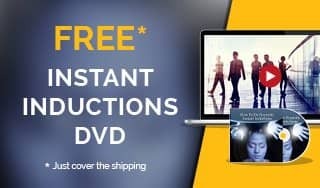 And in the meantime, if you’d like to see one of our hypnosis trainers – master hypnotist Jonny Dupre – perform some of the techniques covered in this article on two women in Las Vegas, don’t miss the engaging hypnosis demo below!